The best designs fulfil a need. Damien, wireworks new range of 'Living' side tables do exactly that. The top is cleverly fixed into the base but is also removable and can become a useful tray. An ideal occasional table next to a sofa or as bedside table, Damien fits a niche. A slim leg profile and rigid frame construction make a surprisingly strong base. 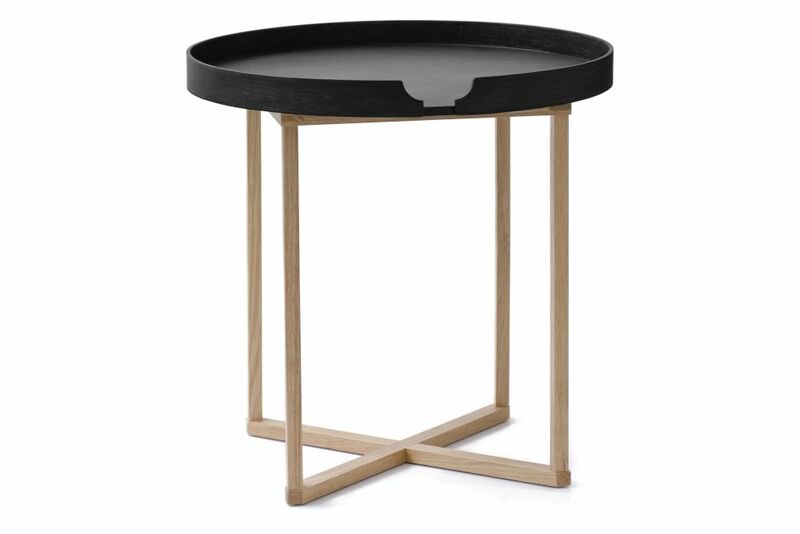 The oak lipped top is an elegant counter balance to this support structure. Simplicity is hard to achieve but this seems to hit the target. Made from solid oak and wood veneers. Finished in epoxy paint and PU lacquer. Clean with a damp soapy cloth. Do not leave in prolonged contact with liquids. Some liquids may damage the wood and paint finishes. Do not place hot items on the table surfaces.